Amy and Amy at the Wedding of the Century! I have known Amy and Joe for almost 7 years now. They have been together for 12+ years (way longer than I have known MY Amy) and they have finally tied the knot! Amy and I were fortunate enough to be able to fly back to Indiana for the event (like we would have missed it… especially since Amy was a bridesmaid). 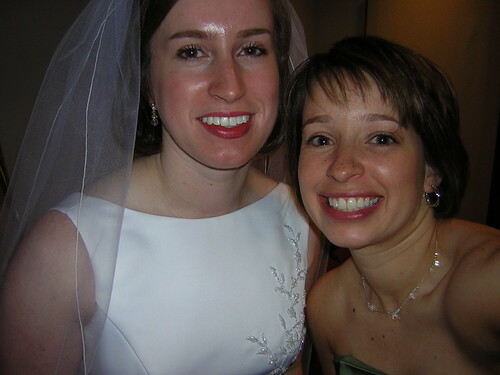 This photo is of Amy and Amy at the wedding reception. Click through to see a few more photos of Joe, the wedding shower and a few others as well.